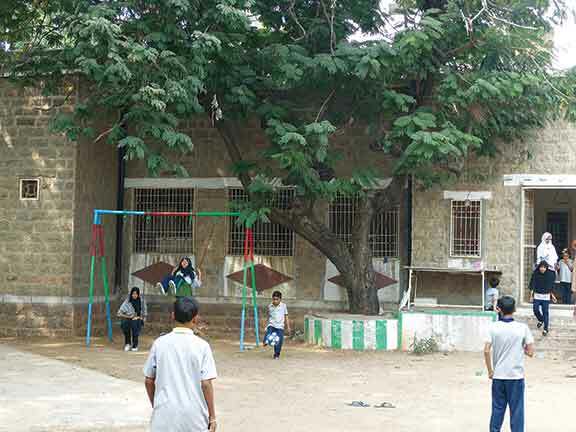 There has been a renaissance of education in Old City, the proverbial ‘heart of Hyderabad’. where some schools with foresight are beginning to deviate from the norm of book-based learning in favour of a more student-centric approach, ensuring the child a more holistic and meaningful education. Pioneering this movement is Focus High School, an International Baccalaureate school based in Darushifa, Hyderabad. FHS is quickly expanding with branches cropping up in various parts of Old City. It was founded as a response to the need for affordable, quality education in an area that would be easily accessible to children without travelling great distances. Among the beneficiaries were the children from a local orphanage, Dar ulYathama. However, integrating children from the orphanage into an IB school was easier said than done. These were children from underprivileged, disturbed backgrounds with huge emotional, psychological and social issues, not to mention zero academic skills. They live in a secluded environment oblivious to the world outside; bringing them into the mainstream would mean nothing less than metamorphosis in a limited timeframe. To make the integration possible, Focus Bridge School was established in November 2017, within the orphanage premises. Asma Zaidi, a trained Montessori teacher and educator with several years of experience, with a team of six experienced teachers and two counsellors, is now facilitating the children’s transformation. “It was destiny”, says Minhaj Arastu, the Principal of FHS, “that there was a leader, Asma Zaidi, a campus, Dar ulYathama orphanage, and children with a need that could be addressed by the coming together of these various resources.” The Bridge School has a customized curriculum designed to enhance the academic and life-skills necessary to integrate children at the orphanage with children at Focus High School’s campuses. The children from the orphanage, who until then had been going to different local or charitable schools, were pulled out and given the chance to start afresh. Asma Zaidi believes that the IB and Montessori are complementary schools of thought that work towards providing freedom and non-textbook guided learning to the child. For her it was a natural to divide the children into mixed age groups – Lower Elementary (6 to 10 year olds) and Upper Elementary (10 to 14 year olds). The goal is to enable the children to go back to the IB, once their foundations in each area of learning are strong enough for them to engage in their respective classes. The Bridge School has set a goal for itself – to be able to send the lower elementary children to the mainstream by June 2018 and the upper elementary group by June 2019. While this is no easy task, with a dedicated and hand-picked team of teachers, it seems quite equipped to meet this goal. These children, having faced difficult and often traumatic situations were understandably wary of the appearance of these new people taking charge of their education. In order to build trust and a healthy interaction between the students and the teachers, there was a significant amount of time spent counselling the children along with leadership classes. This was necessary to build lost self-esteem, a sense of individuality, self-worth, and confidence. These sessions were followed by recreational and exposure events to reinforce positive interaction with the world – trips to the world outside to practice behaviour and spoken English; meet inspiring people to expose the children to the real world and it’s challenges, career counselling for older children and practising with them to exist as productive members of the community. Furthermore, to showcase the progress that the children have made to its board members and donors, Focus Bridge School organizes periodic events such as fancy dress competition, drama, and summer culmination event that not only bolsters their confidence, but also allows them to be rewarded intrinsically for the progress they have made. A typical day at Focus Bridge School starts with an assembly which is a space for the children to speak up and build confidence. This is followed by circle time discussions and singing. The two groups (upper and lower elementary) then alternate between 50 minutes of spoken English and leadership classes. The spoken English class addresses basic skills of conversation, sentence structures, and using the spoken word to express oneself. The leadership classes are guided by Steven Covey’s ‘7 Habits of Successful People’ and ‘KIRDAAR’ a special values based curriculum; it is aimed at helping the children be proactive and take charge of their learning and life. This is then followed by a math class and a ‘short break’. There is then a two hour block period of either science or social studies which is filled with discussion and hands-on activities. After lunch break and prayer, the day ends with a language class. Field trips, interactions with people in different professions; art projects and post school sports training (cricket, ball games, etc.) make an important aspect of the entire schooling experience. This seemed to really stand out for the children as well, when they spoke about what made the bridge school experience different and special for them. The curriculum is strongly inspired by the inquiry method, which is at the core of the IB philosophy and made concrete by the study of Five Great Lessons from the Montessori system. Dar ulYathama translates to ‘Home of the Orphans’; the Focus Bridge School, with the child at the center, provides the perfect opportunity for these orphans to dream big and proceed to a life filled with hope. 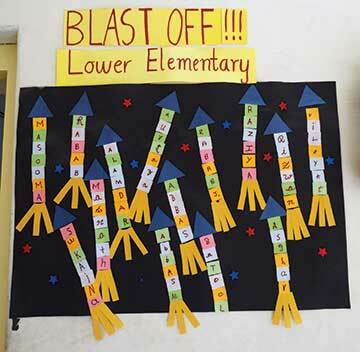 Ankita Rajasekharan is currently working as a teacher at Shriram Montessori School, Hyderabad. She can be reached at 27.ankita@gmail.com. Zakeeya Zahra Abbas is a student at the Aga Khan Academy, Hyderabad.